We are open 7 days a week with no emergency fees. Our services include general and specialized surgery, yearly vaccine packages, lab analytics, radiology and more. Striving for the Best in Customer Service. We dedicate ourselves to providing the best in veterinary care. Call today to schedule your pet's appointment. Care For Your Friend, You Are Their Voice. We strive to treat every pet as one of our own and to provide them with the best care in every way possible. We are dedicated to providing excellent care while offering an array of services for your pet and the betterment of their health. Our hope with this new service is to provide a more comfortable and convenient experience for you and your pet. Open 7 days a week, including some Holidays! We will do our best to accommodate your busy schedule. Call us at 706-864-0054 or click the link at the top of the page to schedule an appointment! Appointment requests will be answered within 24 hours, Monday - Friday. Saturday and Sunday, please call to make an appointment. We will be happy to set one up. If you have an Emergency outside of regular business hours, please contact An-Emerge 770-534-2911. 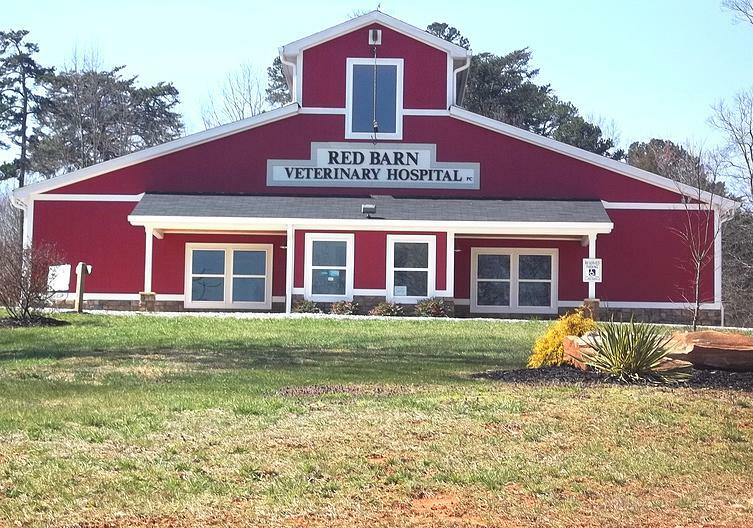 Here at Red Barn Veterinary Hospital your pet will receive quality, up-to-date veterinary care at a reasonable price. Our caring and helpful team is always ready and willing to serve yours and your pet's needs. We are equipped with digital x-ray, ultrasound, and an in-house laboratory. In addition to general surgical procedures we offer orthopedic surgeries and routine dental cleanings, which are an important part of your pet's health. Our surgical suite is fully equipped with anesthesia monitoring. As an added convenience, we have a fully stocked pharmacy. Your pet is treated as an individual and you are ALWAYS involved with the well being of your best friend! Our Pets Reach Their Golden Years Much Earlier Than Us. We now have a yearly package that includes our out-house comprehensive blood panel that gives us an insight into your pet's health. Call today. Dr. Babcock is a 1990 graduate of North Hall High School, a 1994 graduate of The University of Georgia College of Agriculture, and a 1998 graduate of The University of Georgia College of Veterinary Medicine. After veterinary school, Dr. Babcock practiced medicine at a mixed animal hospital in South Carolina, then several small animal hospitals in North Georgia. She has treated many species including: horses, cows, pot belly pigs, goats, llamas, hamsters, rabbits, and of course, dogs and cats. Although now seeing mostly small animals, Dr. Babcock has a special interest in family oriented medicine, preventative medicine, reproductive procedures, and orthopedic surgery. Dr. Babcock is an active member of the American Veterinary Medical Association and the Georgia Veterinary Medical Association. She has written an article that was published in The Veterinary Medicine Forum. 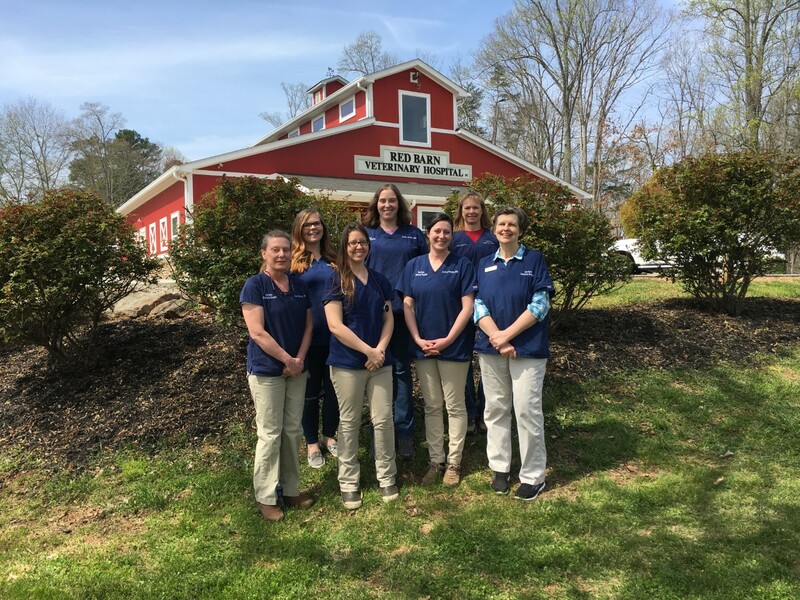 In 2011, Dr. Babcock founded Red Barn Veterinary Hospital, which has been named Business of the Year by the Dahlonega Chamber of Commerce, as well as, been named to the Bulldog 100 list of fastest growing businesses owned by a UGA graduate. In her free time, Dr. Babcock enjoys caring for her personal pets, riding horses, and running marathons. She has qualified for the Boston Marathon 5 times, and was third in her age group at the 2016 Savannah Marathon. Dr. Velasco is a native of Mt. Pleasant, SC. After earning a Bachelor of Science fro Auburn University in December 1998, she worked as a software tester and designer for 12 years in Illinois and back in her home state of South Carolina. With tremendous support from her family and friends, she decided to pursue her dream job of becoming a veterinarian. She received her Doctorate of Veterinary Medicine from the University of Georgia in May 2017, In her spare time, Dr. Velasco enjoys spending time with her family; husband - Fernando, children - Abraham and Carolina and canines - Luna, Poppy and Zoe. They enjoy watching movies together, playing board games, and various outdoor activities. Dr. Decker joins the Red Barn Team from the west coast. Growing up east of Los Angeles in San Bernadino County, she received her Bachelor's of Science in Environmental Health and Food Safety from Colorado State University and then completed her veterinary school at the University of California, Davis in 2012. She has extensive experience in Emergency and Critical Care medicine, including emergency surgical procedures and wound care. She completed a small animal medical and surgical internship at Sonora Veterinary Specialists and previously worked at Atlanta Veterinary Specialists. When not treating patients, she enjoys gardening, hiking, and spending time with her four 'kids', felines Kurzon, Ezri, Rose and Melody. She lives with her husband, Brandon, a native of Roswell, GA and a White County firefighter. Dr. Kangas grew up traveling the country as a military child before joining the United States Marine Corps herself. She served The United States of America for eight years and upon receiving her honorable discharge she returned to school to persue her dream of becoming a veterinarian. She is a 2011 graduate of Jacksonville State University with a Bachelor of Science in Biology and a 2015 graduate from Auburn University's College of Veterinary Medicine. Dr. Kangas lives in Dahlonega with her husband Jeremiah, son Elijah, two cats, dog and her horse. During her time off she enjoys being with her family, camping, kayaking and horseback riding. Dr. Kangas has a special interest in small animal medicine and preventative medicine. She is an active member of the American Veterinary Medical Association. Dr. Paske is a native of Park Ridge, Illinois but has called Georgia home since 1999. This Double Dawg received her Bachelor's degree in Animal Sciences in 2011 and her Doctorate of Veterinary Medicine in 2015 from the University of Georgia. Dr. Paske's interests include surgery, preventative medicine, reproduction, ophthalmology and exotic companion pet care. She currently has a rescue dog named Pepper Ann. In her spare time, Dr. Paske enjoys reading, hiking with Pepper Ann, and cheering on the Bulldogs at Georgia athletics events! GO DAWGS! Dr. Scholz graduated from Oconee County High School. She then earned her BS in genetics from the University of Georgia. Dr. Scholz went on to earn her Masters from Emory in genetics, ethics, and anthropology. She later earned her degree in Veterinary Medicine at the University of Georgia graduating in 1992. She has been a practicing veterinarian for the last 20 years in North Georgia. Hopefully practice makes perfect! She lives in Murrayville with her husband Bill. She has one son and daughter in-law. Dr. Scholz has 3 dogs and 4 cats, all which are rescues. Her current interest is in small animal medicine, surgery, ophthalmology, and pain management. Dr. Donovan graduated from the University of Georgia of Veterinary Medicine in 2004. Karen has extensive experience caring for both large and small animals and has practiced veterinary medicine in the North Georgia area for several years. Karen's primary interest is in small animal medicine and surgery, and in addition, she has extensive up to date continuing education in both feline and canine health care. Dr. Donovan has 6 cats, a fox red labrador named Striker and two horses, Amy and Big Jake. Dr. Hadaway is a Georgia native and grew up nearby in Milton, GA. She attended the University of Georgia where she received a BSA in Biological Science and stayed to earn her Doctorate of Veterinary Medicine in May 2015. Following graduation, she completed a one-year internship in equine medicine and surgery at Chaparral Veterinary Medical Center in Cave Creek, Arizona before moving back to Georgia. She has a background in equine medicine, but is excited to be focusing on small animal care here at Red Barn. Her interests include small animal surgery, emergency medicine and preventative care. Outside of work she enjoys spending time with friends, going to the lake, horseback riding, and hiking with her two dogs, Kip and Ziva. Dr. Fitzner had the dream of becoming a veterinarian since she was two years old. She graduated from the University of Georgia in 2012 with bachelor’s degrees in Avian Biology and Biological Sciences. She attended St. George’s University College of Veterinary Medicine in Grenada and completed her clinical rotations at Auburn University in January 2018. Her interests include preventative care, exotic pet husbandry, surgery, neurology, and emergency. Dr. Fitzner lives with her three dogs: Gribble (a boxer mix), Cadwin (a Chiweenie), and Marky (a special needs Chihuahua/Pekinese mix). In her free time, she enjoys outdoor activities, traveling, cooking, and playing her guitar. "I took both of my dogs in for their annual yearly check-up and vaccines. Dr. Babcock checked them out and recommended they have their teeth cleaned. Before I retired, my profession was in the dental field, so I know a lot about teeth. I came home and thought about it, especially since we had been having problems with Daisy's bad breath and stomach problems. So I decided to break down and have her teeth cleaned. She ended up having 5 teeth pulled due to infection and being loose. I brushed her teeth every week and never noticed. After her dental, Daisy came home with NO bad breath and NO stomach problems! After this I said we had to get Hooch's teeth cleaned, so I made an appointment thinking it would be a simple cleaning. Hooch ended up with 4 teeth pulled and 2 of them had cracks. After his dental, he acted like a new dog! All that time he had been in pain and we didn't even know. Now I am a firm believer in having your pets teeth checked and cleaned every year!"